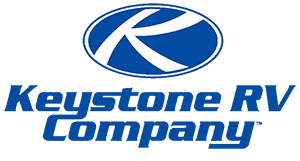 What is a Keystone MONTANA MOUNTAINEER? Montana, Keystone RV: North America's #1 Selling Luxury Fifth Wheel for 15 Consecutive Years. The right inspiration leads you to achieve greatness whether you are vacationing, adventuring or just relaxing. Montana fifth wheels enable you to achieve all three. To do this, Montana designs fifth wheels to provide enduring pleasure over the long haul and in every aspect of the ownership experience. Montana builds RVs that inspire. 2007 Keystone Montana Mountaineer 344RET, Rear entertainment, 3 slides Rear entertainment, 3 slides, fiberglass exterior, 2 sinks, enclosed underbelly, aluminum wheels, rear stabilizer jacks, nice unit! Call today! Wow! Very Rare & Hard to Find! This is a Huge 4-6 person Bunkroom complete with its own Bathroom at the rear of the RV and the Master Queen Suite with its Bathroom at the front! Gorgeous Montana Mountaineer with more than ample room for accomodating many! Turn key and ready to go! Please call me should you have any questions anytime at 813-765-8849..Thanks so much! Remodeled and upgraded 2014 Keystone Montana Mountaineer (Model 310RET) with meticulous maintenance record and active service warranty. It has routinely undergone a full professional inspection every year and never been stored for more than a couple months. It is the perfect option for both full-timers and weekend warriors.Key features include:35-feet in length3 power retractable slides6-point hydraulic auto leveling system2 AC units (main living room and bedroom)Electric fireplace35,000 BTU furnace12 CuFt four-door refrigerator2 Power vent fans w/ rain coversKing Bed (Leesa mattress)Washer/Dryer comboFull-size Microwave2 televisionsAll furniture is included in the price. Additional accessories that are also included:50 amp power cordAll water hoses including a heated hoseDigital power surge protectorFront stabilizing support4 slide stablizing supportsRear mounted bike rack (holds 2 bikes)Gooseneck adapter (can be removed for standard fifth wheel towing)2017 Dodge Ram 3500 is also available to be sold separately. Montana Mountaineer’s unique appeal results from listening closely to our customers and implementing their preferences for contemporary residential design and comfort. Mountaineer’s quality, value and style have become legendary for those customers that want the best while pursuing an RV lifestyle. With seven new or re-designed floor plans, the Mountaineer is ideal for couples or families on the go.To view a 360 Virtual Tour, to see high resolution pictures, and full specs of this RV and other fine coaches, visit our website. http://www.leisurelandrvcenter.com/view-inventorySPECIFICATIONS:Sleeps 7Slides 5Length 40 ftExt Width 8 ftExt Height 13 ft 4 inHitch Weight 2,350 lbsDry Weight 13,235 lbsCargo Weight 2,615 lbsFresh Water Capacity 66 galsGrey Water Capacity 93 galsBlack Water Capacity 93 galsFEATURES:Living Area Features•Hide-a-bed sofa (MM)•Milano walnut stained cabinetry•Decorative wood slide-out fascia •Solid wood cabinet doors and drawer fronts •Brushed nickel cabinet hardware•Flush mounted LED interior lights•Brushed nickel decorative light fixtures•Pleated night shades•Contemporary window treatments•Power vent fan in kitchen or living room•Ceiling fan •Cushioned Beauflor® vinyl flooring with herringbone pattern woodgrain •6’ 6” Tall main slide-outs•Overhead soffits with flush mounted LED lights where applicable•Elegant crown molding above and below select cabinetsKitchen Features•LG HI-MACS® solid surface kitchen countertops•Stainless steel sink and kitchen faucet with integrated pull out sprayer •LG HI-MACS® solid surface flush mount sink covers •LG HI-MACS® solid surface flush mount range covers •Stainless steel 30” over-the range microwave•High output range with automatic igniter •8 cubic foot 2 door refrigerator •Full extension drawer guides Home Entertainment•RG-6 Satellite prep •HD Digital TV antenna with booster •HD flat panel TV in living area •HD flat panel TV in bedroom•HD flat panel TV in bunk room •12v Bluetooth AM/FM CD/DVD MP3 player home entertainment system » 4 living area speakers» 2 bedroom speakers» 2 exterior speakersBedroom Features•Queen Bed (60” x 80”)•Fabric bedroom headboard•(2) Bedside windows in bedroom slide-out •Reading light over bed •Bedroom closet prepped for side by side washer and dryer with separate 20amp circuits for each appliance AND MUCH MORE! 2014 Montana Mountaineer 290RLT Is a real gem, Fully Loaded. Here's some of the options, Newer tires, Generator Cummins Onan 5500K with only 133 hours, 3 Slides, King Bed, A/C in bed room and living room, Washer and Dryer Ready, Entertainment center with large TV and TV in Bed room, 4 door refrigerator, Stainless Steel appliances, Solar, and Deluxe Cabinets. This is a really nice 5th wheel will sell fast. Here's my contact info (702)466-7974 Ask for Ryan Miller. Thanks. 2012 Keystone Montana M-295RKD Mountaineer Edition, Stock #109507 - NICE 5TH WHEEL READY TO HIT THE ROAD! OWNER WILL DELIVER FREE UP TO 300 MILES! If you are in the market for a fifth wheel, look no further than this 2012 Montana M-295RKD Mountaineer Edition, just reduced to $30,000.  This Fifth Wheel is located in Sebastian, Florida and is in great condition. We are looking for people all over the country who share our love for boats/RVs. If you have a passion for our product and like the idea of working from home, please visit SellBoatsAndRVs [dot] com to learn more. Please submit any and ALL offers - your offer may be accepted! Submit your offer today! Reason for selling is no time to enjoy. Cabinets (Many), Counter, Hood Fan, Microwave, Oven, Refrigerator, Stove, Fridge/freezer (Norcold), Propane Gas Tanks (2), Bluetooth/aux., CD Player, DVD Player, Stereo System, Surround Sound System, TV (2 Flat Screen), Digital TV Antenna, Double Kitchen Sink (Stainless), Entertainment Center, External TV Source, Satellite Dish, Air Conditioning ((2)), Bathroom Sink, Carpet, Central Heat, Fans (Includes 2 AC Fans And Decorative Ceiling Fan), Queen Bed, Skylight (Bathroom), Slideout, Smoke-free, Toilet, Vanity, Washer Dryer Prep, Water Heater, Clothes Washer & Dryer (Hook Plumbing Installed), Dining Table, Flooring (Carpet/linoleum), Hand Basin, Heat, Medicine Cabinet, Power Jacks, Auxiliary Battery, Battery Charger, GFI Circuit Breakers, Hitch, Inverter, 110 Lighting, 110 Outlets, 12 Volt Lighting, Power Cord, Awning, Leveling Jacks (Auto), Slideout Awning, Exterior Speakers, External Shower, Outside 110 Outlet, Outside TV, Stabilizer Jacks (4), CO2 Detector, Running Lights, Smoke Detector, Vinyl Floor, Aluminum with Steel Frame Construction, 2-Axle, Waste capacity: 50 gals, Gray water capacity: 93 gals, Width: 8', Height: 12' 9" "NICE 5TH WHEEL READY TO HIT THE ROAD! OWNER WILL DELIVER FREE UP TO 300 MILES!" This is a very unique fully remodeled four season bunkhouse fifth wheel, the pictures don’t do it justice. You won’t believe how big the bunk bedroom is, the table can easily be replaced with a couch or another bed if preferred. Upgraded master bed ceiling vent/fan, new tires and wheels, new battery, new generator, new washer/dryer combo all purchased in 2018 and used lightly. Upgraded AC installed 2016. Mattresses are new (used 3 nights) and includes the new TV in the bunk room. Speakers inside and outside, outdoor TV included, outside kitchen, outdoor shower. Two large propane tanks. We had the second master bed toilet removed for more storage, I thought two toilets were a waste of space but if you prefer two bathrooms it can easily be reinstalled. We’re including everything, all water hoses, sewer hookups, leveling blocks, 50amp plug and various adapters, leveling tripod, everything you need. It’s set up with an adapter so it can hook up to a gooseneck hitch. Thirty-two feet, 36 feet overall length, three slides, new tires, stored inside, like new. Excellent condition. Front and rear A/C. Three slide outs. Queen bed in front bedroom. Couch, two recliners, desk, surround sound in living area. 2010 Keystone Montana floor-plan 3000RK. Sleeps 6. Coach has only been used 3-4 times and has been in inside storage when not used. This unit is basically still in New Condition. Asking 26,900. Call 574-312-9008 for further information. 2010 36ft 5th wheel with 4 slides. Queen Bed up front with bunk house in back. Like new, well maintained, one owner, non smokers. RV has very low travel miles. Full bath in queen suite with washer/dryer hook up. The 1/2 bath in the back area was professionally removed to provide more living area space. Plenty of storage both inside and out. Must see! Serious Inquires Only, no dealers please. Four Seasons RV Acres Inc.
31’, two slide, patio awning, fiberglass sidewalls, couch, exterior shower, spare tire, rear ladder, TV in living area, AM/FM/CD/DVD player, roof a/c, microwave, oven, glass shower, day/night shades, walk around bed.